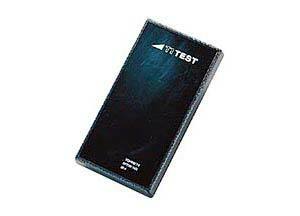 Bolt aging test, loosening test. To define the optimum torque level for the bolt. 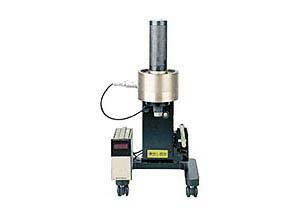 Ultrasonic bolt tension meter capable of visualizing change in bolt tension without breaking bolts. Available in either English or Japanese-language display on large, easy-to-read color screen. Simple operation using dialogue-style data input method. Compact and light weight. Portable for use at the work site. Portable battery available as option. Variety of functions, overlapping of wave pattern and wave detection change are available for measurements with high reliability. Simplified bolt dimension will be displayed in graphic with input values expressed in red. 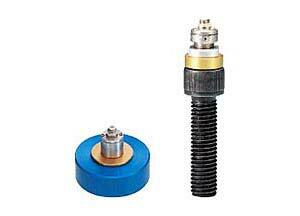 Hex-head cap screws can be tested by optional specially made sensor. 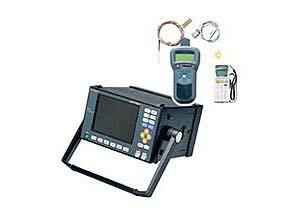 AFC-20-G Axial Tension Calibrator (sold separately) is most commonly used with the TT2000 Tester. Connect to a personal computer and conduct data management and analysis. We also create software meeting customer requirements (only for TT2000C and TT2000M). 1. Optional thermometer can be connected to TT2000C and TT2000M for automatic temperature adjustments. Input temperature range is from -40℃ to 200°C. Measurement over 60℃ requires a sensor specially designed for high temperature. 2. RS232C connector is available only with TT2000C and TT2000M. 3. Composite output, alarm output and encoder input are available only when using a multi connector box supplied withTT2000M or an optional built-in battery case. 4. DC12V can be used only when using the optional portable battery or the built-in battery case.